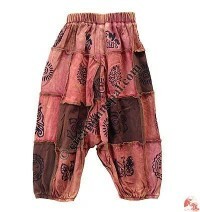 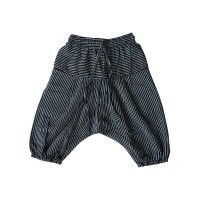 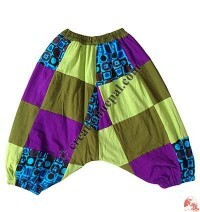 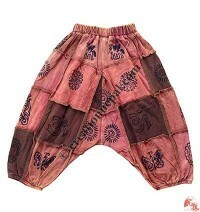 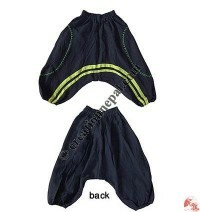 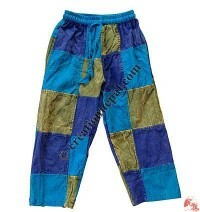 Woven cotton and stretchy ribbed cotton kids trousers with patch works, prints, tie dye, embroidery etc. 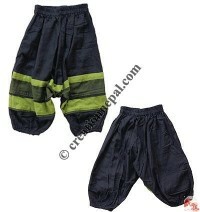 are being used to manufacture Nepalese cotton children trousers. 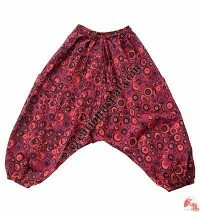 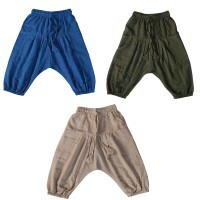 The kids trousers below are made as unisex wear with hippie styles and suitable for the summer and winter. 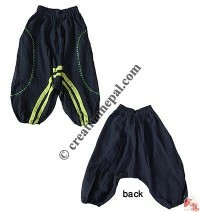 Nepalese handmade clothing company based in Kathmandu, Creation Nepal manufactures and exports children trousers, kids cotton pants, kids Aladdin trousers etc. 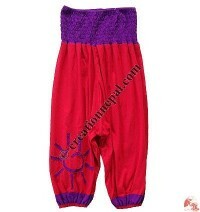 in various design and colours using different artworks on them. 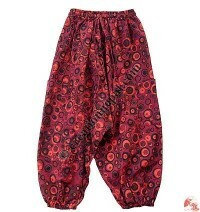 Several designs of our kids cotton trousers are made as hippie styles clothing to make them unique and beautiful. 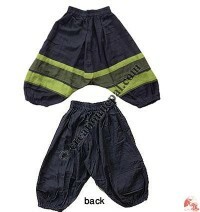 All our kids trousers are made for unisex adding them great artworks like embroidery, patch work, prints, stone wash, tie dye that makes our kids trousers exclusive. 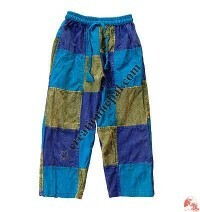 Cotton-fleece bubble patch trouser, Plain cotton kids harem pant, Stretchy cotton stonewash kids trouser, Stripy dark colour kids harem pants, Stripy blue cotton kids harem pant, Fine cotton bubble-print kids trouser, Sinkar patch-print kids trouser, Spiral-cut sun sinkar kids trouser, Sinkar patch kids afgani trouser, Cotton kids trouser, Patch-work kids trouser, Shyama baby overall, Sinker loose kids newa trouser and Kids khaddar quarter trouser etc. 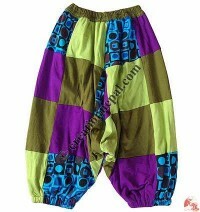 are some of our kids trousers to order online. 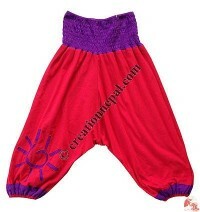 Inquire us about the available fabric and colours if you have your own design and colours as we accept the custom orders as well.